Dubai our Sandbox: GreenHeart Organic Farms - UAE's best organic secret - WE LOVE ! 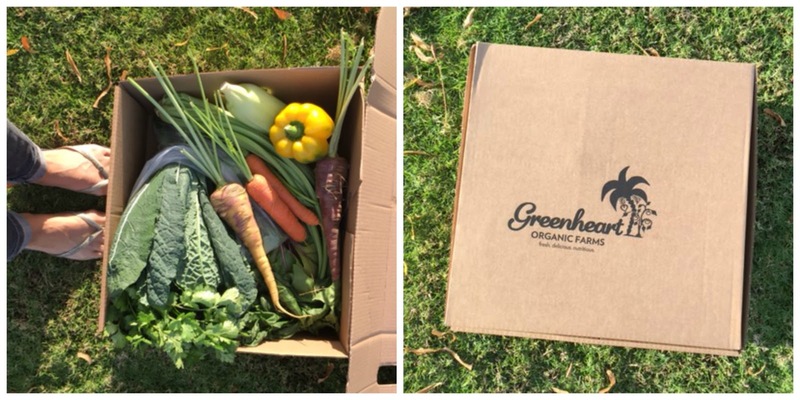 GreenHeart Organic Farms - UAE's best organic secret - WE LOVE ! The UAE conditions, makes organic farming difficult. Greenheart Organic Farms has the genuine desire to grow the best possible organic produce in what is known to be a hostile farming environment; no soil, lack of sweet water & rain, desert storms and high temperatures. Meeting Elena Kinane, Managing Director of GreenHeart was a total eye opener to what’s really organic farming. The beauty, complexity but also importance of feeding ourself the right way while protecting The Earth. What makes GreenHeart Organic Farms so genuine? 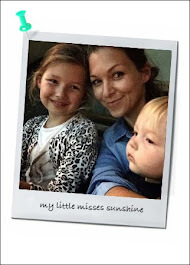 And why did I choose to get a family box of fresh organic produce delivered weekly to my home? I give my trust to Elena and her team to deliver the best possible (mostly local) organic products to our family. I have the feeling you will to! And here's why... Simple – they do everything from sourcing genuine heirloom seeds, to soil building, planning the growing schedule including crop rotation and companion planting. 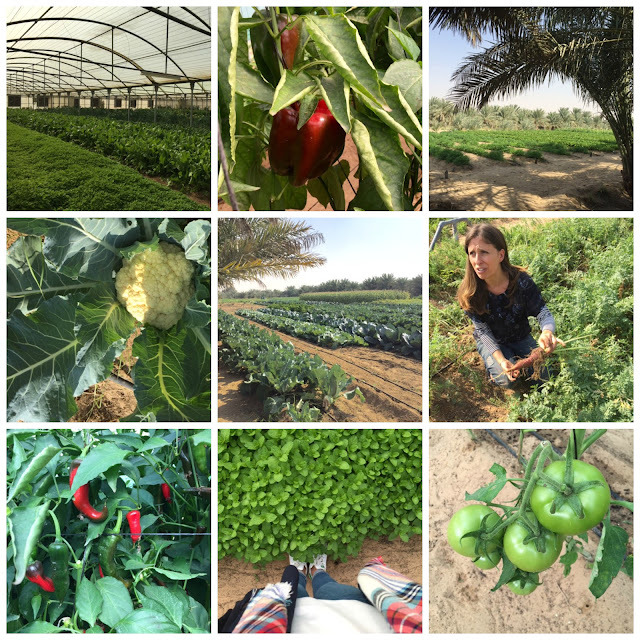 I had the opportunity to ask Elena some questions about her passion for Organic Farming and some insight about Organic in the UAE. Why do you farm? Where does your passion come from? I grew up in an eco-friendly household and my great aunt grew all our vegetables and fruit in our back garden. She made all her own cheeses, jams, compotes, and sauces. My aunt taught me from a young age how to collect seeds from different plants & crops and explained to me the benefits of medicinal herbs and flowers. 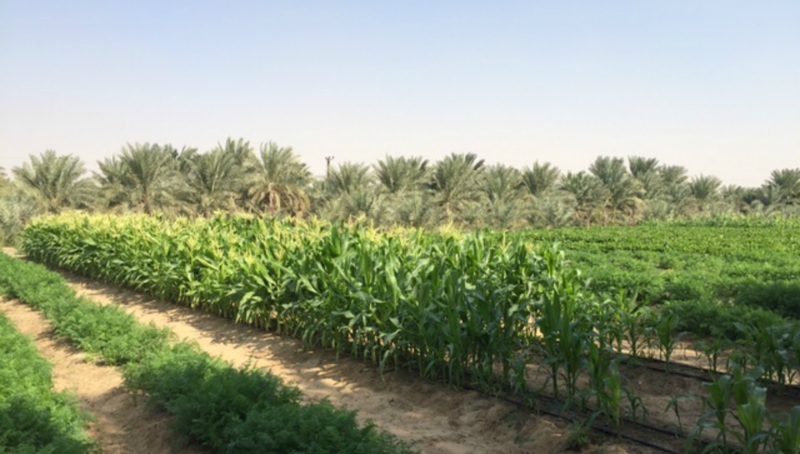 Is Organic farming more challenging in Dubai then in Europe for example? 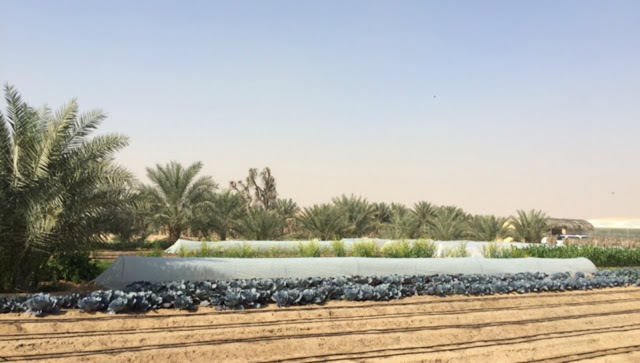 Are the regulations or standards for organic production different here in the UAE? Is there any financial support for organic farming? Yes very much so. In most of Europe we have naturally occurring soil and while the soil differs from area to area the basics are usually there. Here we have desert sand. It takes a lot of careful management to build soil so we can grow genuine organic produce. We have extreme temperatures and the lack of rain means that all fields need to be irrigated. Certification criteria vary throughout the world. Sometimes there are inconsistencies even between the certification bodies of the same country. Certification in the UAE is still in its infancy and is largely influenced by European and American standards. What are the specific requirements for being certified organic? In an ideal world requirements should state that no chemical substances should be used either for fertilization or for pest & disease control. Seeds should also be untreated and non-GMO. Additionally strict crop rotation and polyculture should be practiced. Certification bodies the world over have different requirements and while some are very strict others allow the use of some chemicals and permit monoculture for instance. I would strongly advise consumers to read up on the criteria and standards of the individual certifying body. In my experience some certification bodies are set up simply to make money. How do you decide which products to grow? And do you grow all the products that you sell? In season (November – May) we grow 120 – 140 different varieties of vegetables and fruit. In the hotter months we grow about 50 different types. We focus mostly on heirloom produce, in other words traditional varieties that have been established before 1952 when the first industrialized seeds flooded the market. We collect all our own seeds from these heirloom varieties and hope to be completely independent of external seed supplies in a few years time. We experiment a lot with different varieties and settle on items that do well in our climate long term, provide good yields, taste great, are nutritious and use up relatively little water. We also import organic fruit from family run organic farms in Lebanon and Sri Lanka as most fruit production in the UAE is not really feasible. We grow Melons and Strawberries during certain times of the year. Other fruit such as Bananas, Figs, Grapes, Mangoes and Lemons which can in theory be grown here are a huge financial investment and produce such a low yield they’re unlikely ever to be financially viable. What kind of fertilizers do you use? How do you deal with your weeds? insects? diseases? We make our own compost, which we use to enrich the sweet sand at our farm. Every grow cycle (there are 3-4 grow cycles per year) we add about 15-20% compost to the sand. Over the last 5 years we’ve converted large areas of sand into rich soil. Our compost is made up of animal manure from our grass-fed chickens, goats and cows along with plant and crop leftovers that have been collected dried and shredded. This mixture is then enriched with natural rock minerals. The entire process takes about 6 months and only then is the compost ready and safe for use. We also practice crop rotation, polyculture (as opposed to monoculture) and companion planting. By farming this way you decrease the likelihood of pests and disease. When we do have problems we try to solve them using natural remedies which we blend ourselves. Over the years we’ve learned what does and doesn’t work. Our techniques are constantly evolving. Is organic food "healthier" (more nutritious) than conventional food? Fresh produce is only as nutritious as the soil it is grown in. So the better the soil the healthier the produce. Genuine organic produce has to be grown in rich soil full natural minerals and organic matter. If so it’s richer in nutrients and therefore healthier. Organic produce should be completely free of pesticides, herbicides and preservative so you get the nutrients of the produce minus the chemicals. Frankly, the best is local fresh organic produce that hasn’t travelled for any length of time. Remember, we used to be hunters & gatherers eating food as soon as it was picked. Could organic food be less safe than conventional food? Recent reports claiming that organic food is at a greater risk of E. coli contamination? Is that true? If farmers use fresh manure or human waste there is a possibility of contamination. To be safe, the manure must be allowed to decompose so most of the harmful bacteria is destroyed. This is not to say that conventional food is safe to eat. If consumers were aware of just how many chemicals are used to spray crops against pests and disease they would not want to eat it. If tomatoes came with labels detailing every pesticide used to grow them, I’m sure consumers would steer clear! What's the best way to store and preserve the shelf life of organic fruits & vegetables? Genuine organic produce is slow-grown. It absorbs nutrients over longer periods of time from natural sources rather than from chemical fertilizers which provide concentrated chemical nutrients over short periods. The texture of organic produce is superior so it can be stored for longer than conventional produce. Greens are best stored in the fridge wrapped either in cloth, paper or biodegradable plastic bags. Fruit vegetables such as Tomatoes and Capsicums are best kept outside the fridge as they lose flavour if kept too cool. If you’re planning to store them for longer than 2 – 3 days they should go in the fridge. However most conventional produce is sprayed with preservatives to prolong its shelf life. Organic produce isn’t (or shouldn’t be) so if you’re used to eating conventionally grown produce you may find that organic produce doesn’t last as long. In general fresh produce should be eaten as soon as possible to avail all the nutrients. Please tell us where we can buy your products? All our produce, our imported fruit, eggs, honey and lots of amazing pantry items, snacks etc is available at our farm shop in Arjan, Al Barsha South 2 (Dubailand). As we harvest freshly every morning we open at 11am. Customers can also shop online for home delivery via our website greenheartuae.com.